Feeling Christmasy yet? Well we are with our brand new log cake! 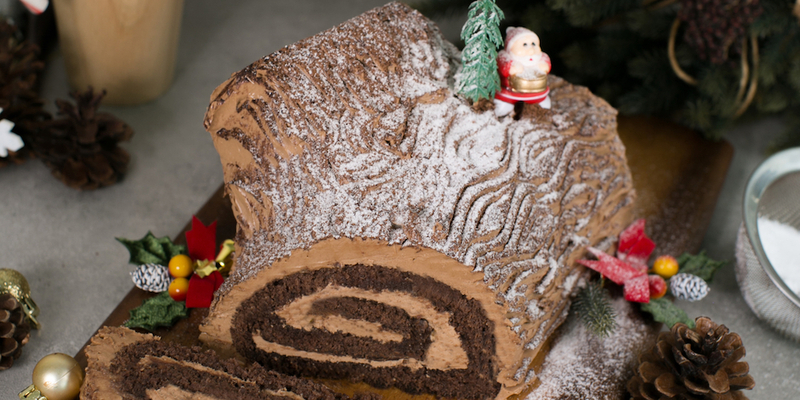 Our Dark Chocolate Peppermint Yule Log consists of a silky mousseline and a rich chocolate cake. Come and celebrate Christmas with us here at Bakers Brew and bring home your very own log to celebrate with your friends and family! Students will make the Chocolate Sponge and Mousseline in pairs but will frost and decorate their own 8" Yule Log.